Permanent makeup is a great alternative to those that have suffered from hair loss, cancer, alopecia, over tweezing, and thinning eyebrows. Permanent makeup holds the promise you’ll work all night, and wake up in the morning with makeup in place. Microblading is so new to the beauty industry that many people are still unaware that such a procedure as this exists. Microblading and Co. offer natural looking brows to women of all ages. Eyebrow Microblading uses a small disposable hand tool, similar to a pencil in size, with microneedles forming a blade. This procedure has dramatically changed appearances and brought youth back to many women. Visit us today at our LA location. Microblading & Co. – LA. Based in Downtown LA we do ALL Permanent make-up. The latest techniques for seamless results. For our famous eyebrows, you may have heard of micro-shading; it’s a non-invasive procedure sought by beauty insiders seeking to enhance their eyebrows and overall appearance. The procedure has been revolutionary for individuals with thin or faint eyebrows. We launched our business to meet the demand for the hottest new makeup procedure in the beauty industry. Renata was great at choosing the perfect eyebrow shape for me. The procedure wasn't painful. And the end result was exactly what I wanted. Renata is absolutely the best! I get compliments on my eyebrows all the time and I love low maintenance. I had little to no hair on my eyebrows and had to draw it in everyday. The procedure was done in 2.5 hours. Renata takes extra care and very meticulous which I really appreciate. If you still on the fence... Just do it! Best investment, no regrets! Renata is wonderful!!! Very friendly and sweet. She did an amazing job on my brows; I love them!! They're extra fleeky now ;). I definitely recommend her to anyone wanting microblading. Don't be afraid of it, I'm so glad I did it! She makes it a smooth and painless process!! Thanks Renata! Renata grew up in Europe. 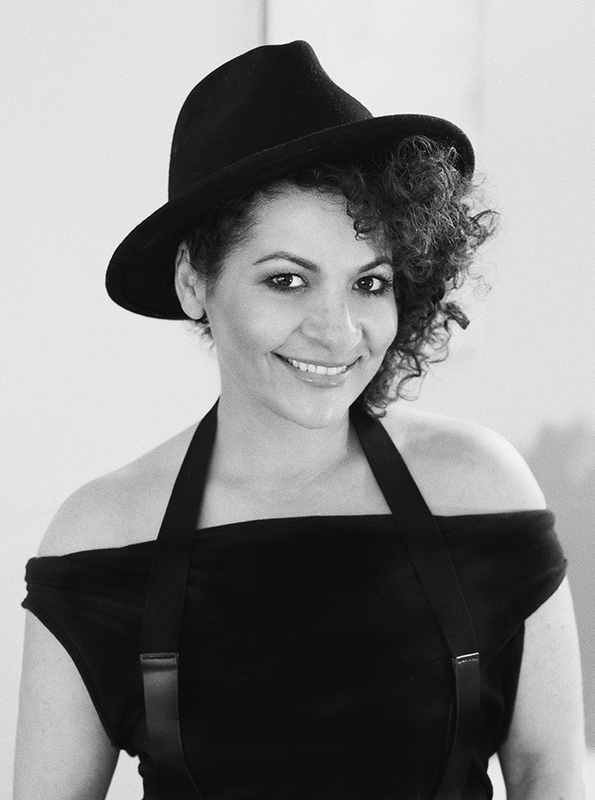 Her passion for makeup artistry and helping women has developed into a lifelong career. Renata is always learning new makeup techniques and studying how to help women look their best. She studies topics related to health and skincare. When micro shading was introduced in the United States, she was one of the first makeup artists to learn this new technique. Renata’s work is important to her and she is committed to helping her clients look their best. Better known as the Leonardo da Vinci of permanent makeup, is the preeminent purveyor of micro shading, a new, noninvasive procedure that enhances eyebrows. Dr. Anna is also a master in the art of permanent makeup, capable of camouflaging scars, stretch marks, and even tattoos. Other services include permanent eyeliner, lips, and areola depigmentation, as well as tricho scalp pigmentation. Whether eyebrows, lips, or covering up scars, Dr. Anna is known all over the world for the quality of their work. Dr. Anna is a respected teacher whose classes can be taken online. She also gives love, real-time demonstrations of procedures that are followed online by a legion of loyal students and fans alike, from Los Angeles to London, Denmark to Dubai and everywhere in between. 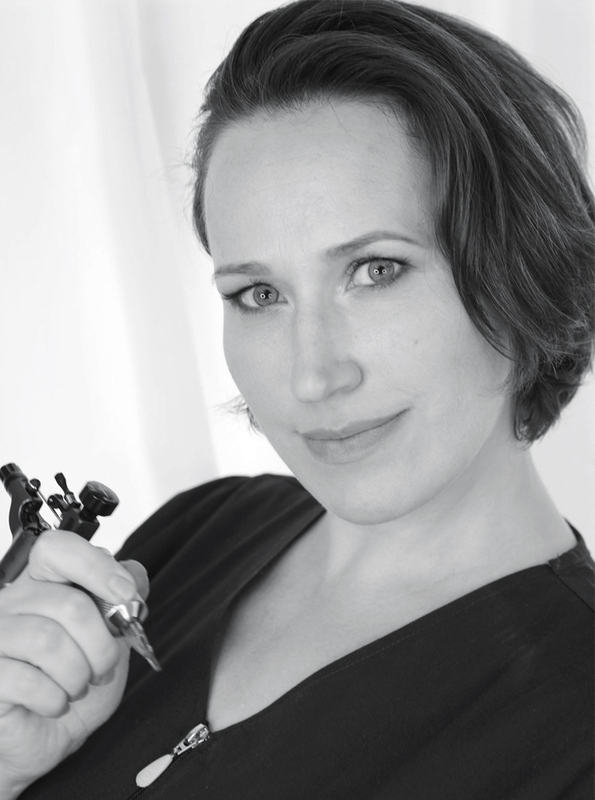 Like an artist who paints on canvas, Dr. Anna who is a permanent makeup artist whose canvas is your face. Are you ready to be their next masterpiece? Microblading is not a skill picked up by just anyone. It takes patience and many years to master. Microblading is a certification, meaning that you can take a course and accept your certification, regardless of your talent. All of the Microblading & Co. artists underwent a three-month mentorship program with the owner and Instructor of Microblading & Co. to ensure that the quality of their work was the best in the business. Choosing the right pigment for each individual person is one of the more crucial aspects of microblading in Murrieta. We want to make sure we take your skin tone into consideration, as well as your natural hair color and/or dyed hair color. Using the best quality pigments will make a drastic impact on the color of the pigment through the healing process as well as the 1-2 years that the microblading results last. A difference between the two is microblading uses pigment and tattooing uses ink. Ink has a base color of blue and green, so over the course of many years, the color will fade to blue and green. Pigment will fade to a lighter version of the original color. Prior to beginning the procedure we go over paperwork and the design of your brows. Renata will discuss pigment color and a great shape brow for your bone structure. We take into consideration your ideal brow and combine that concept with your bone structure. The procedure won’t begin until the client and artist agree on the shape and design. Microblading lasts anywhere from 12-24 months. To get more time out of your brows limit sun exposure and skin brightening face wash. We highly recommend yearly touch-ups. Absolutely! Microblading is a two-step process that requires one touch-up 4-6 weeks after the initial procedure. For some women with very oily skin, a third touch-up is required. Microblading is for men and women of all ages who have thinning eyebrows. Microblading is also for anyone who wants to change their look with full natural looking brows. Imagine having the ability to go to the beach or pool and not have to worry about whether your eyebrows will be washed away with the current. How Many Touch Ups Will You Need? After your initial microblading procedure there is one follow-up appointment. This appointment is to perfect your brows and make any necessary changes. We can use a darker pigment if you want to go any darker or lighter if that is what you prefer. How Long is the Microblading Healing Process? Every person is different, and their skin is unique to who they are. The healing process can be different for everyone, but typically seven to ten days after your microblading appointment you will go through a light peeling phase. This peeling phase is similar to a peel after a sunburn, very light. The first 72 hours after your microblading appointment are the most crucial. We provide a trade secret healing ointment that speeds up the healing process and takes away the slight discomfort after the procedure. We look forward to discussing all aspects of the healing at the time of your appointment. What Tool is Used to Microblade? Microblading & Co. is proud to use the highest quality blades. Our hand tool has tiny microneedles that form a blade. This blade is used to create beautiful hair-like strokes underneath the surface of the skin. By using a hand tool as opposed to a machine, our artists are able to control each crisp stroke and design a beautiful brow. Does Microblading Your Eyebrows Hurt? Each person has a different pain tolerance, but our artists do a wonderful job at keeping all clients comfortable. We use a topical numbing cream that sits on your brows for 30 minutes prior to beginning, as well as a gel that can be applied after the skin has been opened. What are the Dangers of Microblading? Microblading should only be done by a certified and experienced professional. This procedure takes an investment of time to master. We use Phi products and pigments that have proven to be the best in the industry, allowing great results. We use disposable hand tools to maintain a clean and sanitary environment. Our artists will thoroughly explain the aftercare procedures so you get the best results from microblading. The microblading procedure typically lasts anywhere between 2-3 hours. Our artists take their time crafting each stroke to perfection. All skin is different. Sometimes we go over each stroke twice for individuals with normal healthy skin, and other times we go over each stroke three to five times for individuals with tough, thick skin. During the healing process after the microblading procedure your brows will lose about 50% of the color. They will also shrink by 20%. Many time women are too scared to go too dark with the pigment and end up losing most of the color by the end of the four weeks. Also, many women are afraid of going too thick and bold. This is why touch-ups are required. We can perfect your brows in any way necessary. You won’t see the “final” result until four weeks after the touch-up. Can You Choose Your Artist? At any of our other locations in Texas you have the ability to choose your artist, but our Murrieta, California location only has one artist. Renata will take the time to make sure you are comfortable and happy with the end result of your brows. What NOT to do After a Microblading Procedure. Avoid the tanning salon for 10 days after the procedure. Try to avoid spicy food. This can cause you to sweat, which should be avoided. Prior to having your eyebrows microbladed, avoid drinking alcohol. After the procedure, limit alcohol use and smoking. This can prevent a smooth healing. For the first 72 hours treat your eyebrows as an open wound. Try not to touch them with your hands, instead use a cotton-tipped swab. Questions to Ask Yourself Before Booking an Appointment. Have you received Botox in your forehead in the past moth? Are you currently on hormone therapy? If you answered yes to any of the questions above, give us a call to set up a consultation. If you did not find your question answered in our FAQs section, give us a call and we would be happy to answer all your questions. Microblading is a semi-permanent procedure that creates beautiful natural looking brows. It does not look like a tattoo. We craft and plan each stroke we are making with a hand tool that we can easily control. and experiences! Take a read! Exciting & Insightful Letters from the Microblading & Co. Team!